It has always been government’s primary focus to make available, affordable, accessible and good quality comprehensive health care services to the people of the Telangana. To avoid any kind of human error, the Government desires to implement Online Blood Bank System i.e., e-Blood Bank in the State. The Online system will track the human error and acknowledge the organization whether the donor is referred or deferred through the security system which will be embedded in the system. The initiative was taken as the present system is not significant due to Manual record maintenance, takes time to update blood availability status; Group wise Blood unit availability information to user can be obtained from the blood bank only. So physical movement is required for getting the information; First In First Out (FIFO) cannot be adhered to blood and blood component & all inventory management; Clerical error, during documentation and step wise procedure. It did not ensued the proper management of the blood related information; There is no database system of Regular/Voluntary Blood Donors; Much time is required to enquire the rare blood group availability, which could be fatal for the beneficiary; No co-ordinations among the blood banks to trace the previous donation history of any donor; and Record of cross matching and adverse reaction is least mentioned. The e-Blood bank will enable electronic monitoring of blood collection, testing, storage and final use and even dispose. It helps people in accessing information about the availability of blood in any blood bank of the State from a website or through an SMS or toll free number. Efforts are on foot to networking all the existing 132 blood banks in Telangana with a web-enabled system by interconnecting all the Blood banks of the State into a single network through internet, thereby making all blood banks connected through internet, so availability of blood can be traced from public domain and also will remove double guessing correctly, when a patient needs blood. At present, if attendants of a patient don't find blood of a particular group in a particular bank, they have to check with others individually, which is a lengthy process in an emergency situation. While none of the states in the country has developed such a comprehensive system which provides interface in real time through SMS, IVRS(Interactive Voice Response System) i.e through telephone land line and internet. Integrated Blood Bank MIS refers the acquisition, validation, storage and circulation of various live data and information electronically regarding blood donation and transfusion service. Such system is able to assemble heterogeneous data into legible reports to support decision making from effective donor screening to optimal blood dissemination in the field. These electronic processes will help the public for easy access to the blood availability status of blood banks on finger tips; so that he can place a requisition of a particular blood group in nearby blood bank (Especially rare groups) save a valuable life. It also provides online status of blood group wise availability of blood units in all the licensed blood banks in the state. It includes online tracking and trailing system of the blood and blood products (components of blood) by the state level administrators. The system manages all the activities from blood collection both from camps & hospitals till the issue of blood units. Once e-blood banks are implemented it will go long way in introducing transparency in blood availability and disbursement system in the State. The system ensures proper usage, supply and also facilitates tracking of each unit, with embedded bar coding for each blood unit, it enables the authorities liable to scrutiny in case the blood collected at a later date/expired date, which was issued as the shelf life of blood was only 30 to 32 days. The government operates only 30 blood banks, out of 132 blood banks and 13 blood banks are being operated by Indian Red Cross in Hyderabad and districts and the remaining are operated by private Non-Government Organizations and all these blood banks are hitherto operated independently and now the e-Blood bank system integrate all these blood banks online. The new system also will have features like State & Blood Bank dashboard to provide the group wise blood stocks status for all stakeholders. It also facilitates Dashboards for Blood Bank Officers (Tested/ Untested/ Buffer stock of blood units) and enables the administrators for distribution of blood from mother blood banks to blood storage centres. During recent inspection by the Drugs Control (DCA) has found that 109 blood banks, out of the total 132 registered blood banks and 35 blood centres in the State allegedly violating various rules like under staffing--inadequate number of doctors and technical manpower, improper logging--incorrect record of donations and sale and improper maintenance of various statutory records. It also found violations like overarching of patients for whole blood and its components besides inadequate and poor maintenance of equipment, improper storage conditions, and inadequate area and with unhygienic conditions and absence of sterility testing. To ensure that corrective measures are put in place, the envisaged system may improve the recruitment and retention of the regular blood donors in the state, while maintaining all the registers according to Drugs & Cosmetic Act of 1940. Cross check the Inventory of kits and consumables with alert for short expiry along with alert mechanism for License, regular donors, organization to do VBD Camps. It provides a paperless donor room and real time information form collection to testing and use of blood and blood products. The citizen can access the availability of blood units from any blood bank by using website, SMS or IVRS. The system keep a strict vigil and put a check on commercialisation of blood banks and do a lot on individual blood banks managed by voluntary organisations because they have to update information on regular basis. However, the proposal to interlink blood banks will be in place once the State Blood Transfusion Council (SBTC) is formed in the State, which is in pipeline and it is responsible for all blood banks in the State. · 30 million blood components are transfused each year. · More than 38,000 blood donations need every day in India. · Blood cannot be manufactured –it can only come from generous donors. 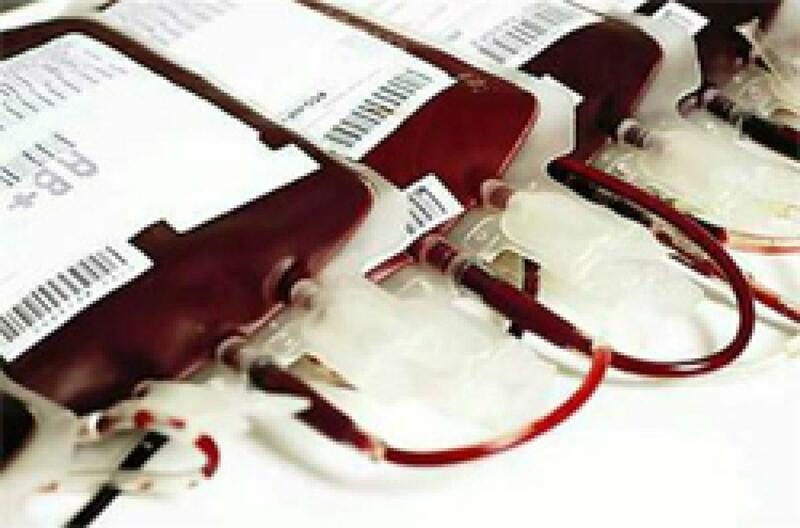 · O-negative blood is in great demand as it can be transfused to patients of blood types. · Type AB-Plasma can be transfused to patients of all other blood types. AB Plasma usually in short supply. · One blood donation can help to save the life up to three people. · Sickle cell patients require frequent blood transfusions throughout their lives. · There is demand for 4 crore units of blood in the country every year but only 40 lakh units are available.